Cleanout Bin’s design allows for portability, ease of handling, and mobility. The bins can be easily moved with a forklift. In fulfilling a bin request, we will drop off the required number and size of bins at the construction site, and pick them up upon completion of the job, or fullness of the bins. There will be an ample supply of bins for each job, and replacement or additional requests will be fulfilled on a timely basis. No need for messy hay bales, plastic liners or bulky roll-offs. Additionally, our bin’s unique design allows it to be placed on almost any jobsite, anytime, anywhere. Cleanout Bin offers the response time necessary to meet the demands of a construction schedule, while helping our customers comply with current SWPPP and recycling requirements. Our bin service virtually eliminates concrete washout from encroaching on our storm drains and water shed. 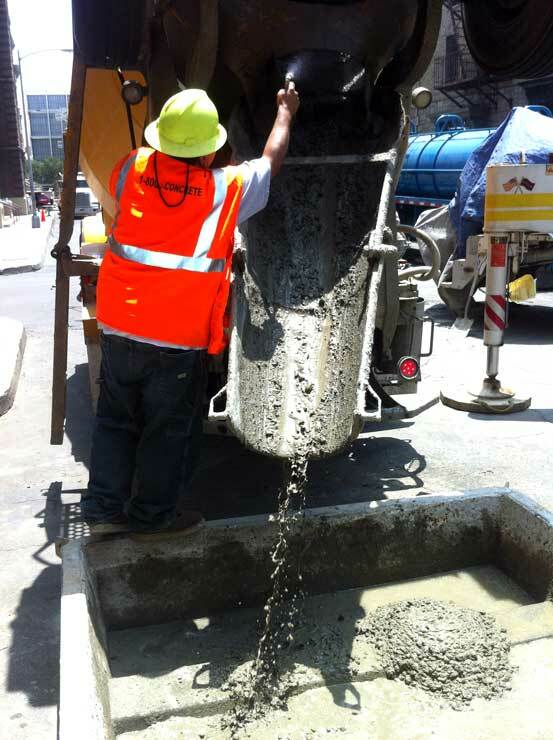 We will serve as the industry’s premier one-stop solution for all cementitious washout needs. Our priorities are customer satisfaction and compliance. With our experience in the construction industry, specifically in the concrete service market, we understand the demand and stress involved in a construction project. That’s why Cleanout Bin is dedicated to meeting construction job schedules and performing each job in its entirety. Cleanout Bin will prove itself flexible and adaptable for various uses on construction sites. 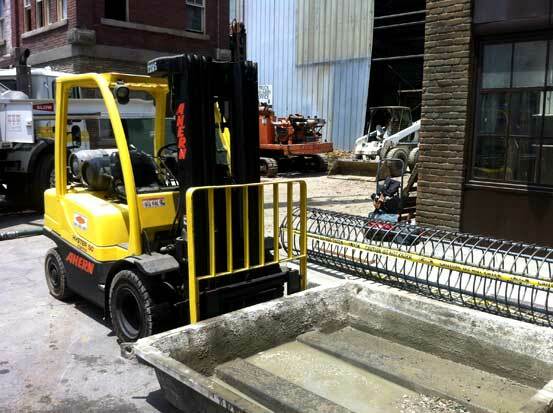 Along with the ability to provide multiple bins at one jobsite, we can provide convenient and efficient concrete waste containment for various activities. Finally, our unique design accommodates pump trucks: the bin is thin enough to fit underneath pump trucks to catch the washout waste, and it easily fits under the hopper to make clean up convenient.